Handling failure with a lot of grace there, guys. 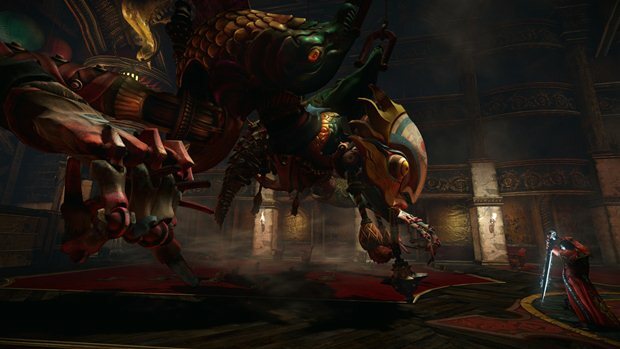 Castlevania: Lords of Shadow 2 just went on sale. We personally liked the game, although we found it to be hugely disappointing and a step down from the original game (or even Mirror of Fate). Across the board, that generally seems to have been the consensus- people were disappointed with the game. Edge, in particular, infamously slammed the game and gave it a 4/10. “This is another important issue. There are a few media outlets that set trends and then some other that follow them don’t dare to deviate too much. The first LoS, which has an 85 mark in Metacritic, also got bad scores on some major sites, yet the game ended having a very good one. Speaking about the game’s general reception, Alvarez explained, “I tend to think positive after reading some things. I’m glad that some people are writing about games instead of making them. I have to take it well, otherwise I’d do something else. But there are also people that appreciated the game. Any game is a complex work, and sometimes I think there’s a lack of professionalism in the game press, who should judge things for what they are and not what they want them to be. “I agree that, in the end, it’s an opinion, and an opinion is totally respectable, but let’s not confuse an opinion and a review. The review is about the object and the opinion is about the subject. You can say “I do really rock but I hate opera”, and this is an opinion, not a review. If I had to review “Don Giovanni” I wouldn’t even know how to start, and this honestly is something the gaming press lacks. A lot of people who review games do not live up to the game they’re reviewing. “This is a problem because it influences people’s buying decisions, and they also influence the opportunities of the developers, because we live in a world that simplifies information and classifies developers according to their Metacritic scores. Do not misunderstand me, though: there are very good people writing about games, whatever their opinion is. I mean, he has some good points, but then he talks about arrogance when he comes off as arrogant himself. Oh well.